Both Google and Windows Live calendars can be synced with the other calendar service, allowing you to see your calendars in one place. 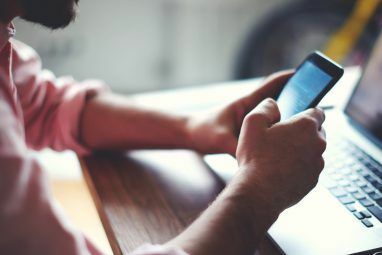 This can be useful for effortless syncing – for example, if you add your Windows Live calendar to your Google Calendar account, it will appear in the Android calendar app with no additional account setup required. The same goes for Windows Live applications – for example, syncing your Google Calendar with Windows Live Calendar will allow you to view it in the Windows Live Mail desktop application, which only shows calendars from Windows Live Calendar and doesn’t have integrated support for viewing Google calendars. 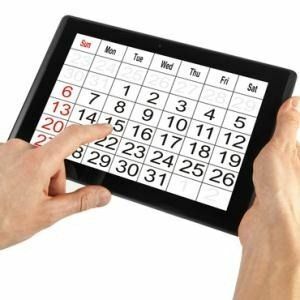 Windows Phone and other devices may have support for adding other calendars How To Sync Multiple Google Calendars To Your Windows Phone How To Sync Multiple Google Calendars To Your Windows Phone By default your Windows Phone does not synchronize multiple calendars. Here’s how to fix this, and enjoy all Google Calendar goodness on your Windows Phone without purchasing any third-party synchronization applications. But you can add... Read More , but there’s additional setup required on each device. To view a calendar from Windows Live Calendar in Google Calendar, log into your Windows Live account and open the Windows Live Calendar website. Click the Share button at the top of the page and select the calendar you want to sync. Enable the Send people a view-only link to your calendar check box on the sharing page. Click the ICS link under Links that show event details. Next, log into your Google account and open Google Calendar. Click the arrow to the right of Other calendars and select Add by URL. Paste the URL you copied earlier into the URL box. However, change the webcals:// at the beginning of the URL to http://. If you don’t make this change, Google Calendar will fail to understand the URL. Once you’ve done this, click Add Calendar and the calendar will appear in your Google Calendar account. Google Calendar will automatically check the calendar for updates. Any changes you make in Windows Live Calendar will appear on your Google Calendar. To add other calendars from Windows Live Calendar, repeat this process. You can click the arrow to the right of the calendar in your calendar list to assign a color. Click the Calendar Settings link after clicking the arrow to assign a name to the calendar. To view a calendar from Google Calendar in your Windows Live Calendar account, log into your Google account and open Google Calendar. Locate the calendar you want to sync in the sidebar, click the little arrow next to it, and select Calendar settings. Locate the Private Address section at the bottom of the settings page, right-click the ICAL button, and select the Copy link address option. Next, log into your Hotmail account and open the Windows Live Calendar (also known as Hotmail Is It Time To Let Hotmail Back Into Our Hearts? [Opinion] Is It Time To Let Hotmail Back Into Our Hearts? [Opinion] Hotmail has had some seriously bad rap over the years, and is now almost universally shunned by tech professionals and bloggers. The main complaint has always been that the service is spam riddled, but is... Read More Calendar) website. Click the Subscribe button at the top of the page. Leave the Subscribe to a public calendar option selected. Then, right-click inside the Calendar URL box and paste the ICAL address you copied earlier into the box. Give your calendar a name, pick a color, select a charm (optional), and click the Subscribe to calendar button. Your Google calendar will appear in your Windows Live Calendar account. It will be checked regularly for new events – you can modify the calendar from Google Calendar and the changes will appear in Hotmail Calendar. 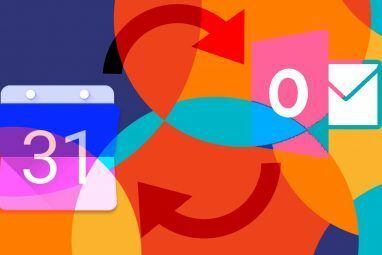 To sync other calendars with Microsoft’s calendar web app, repeat this process. Unfortunately, you can’t actually edit the subscribed calendar from within the other calendar web app – it’s only a one-way sync process. However, the sync will repeat regularly, keeping all your calendar applications up-to-date. Which calendar application do you prefer? Do you use a specific application that requires this sort of sync process, such as Windows Live Mail on the desktop or a Google Calendar-specific tool? Leave a comment and share your experience! Explore more about: Calendar, Google Calendar, Windows Live. I managed to fumble my way through this - both sites are now updated, would definitely help the not-so-savvy punter if you could update this article. Otherwise, really well-written, good choice of screenshots since I still managed to figure it out. I followed this to the letter and it showed that it was importing my live mail calendar and then I get the error message saying there was a problem with the SETTINGS and it was imported. What in the heck do I do now? Can someone help me please. YOU, sir. Are a legend. Thank you so much ! I have been trying so long to sync my Samsung calendar app (S-planner) to my Windows Live Mail calendar on my laptop. It's perfect now. Much appreciated - I found a decent Calendar app for Windows 8/10 but only GMail would work, so needed to sync my Hotmail calendar. With your help took just a few minutes to setup. Thanks Chris. I use MS hotmail (aka live, msn, etc. ), now Outlook, but the calendar does not have a printing app. By linking to a Google mail/calendar account I established for just this purpose, I can now print my calendar using the Google calender print app. The Google printing app is not great but better than nothing that Microsoft provides. I subscribe to my gmail calendar, but no update on Outlook.com if I add new meeting or make a modification. Situation: I like to sync(!) 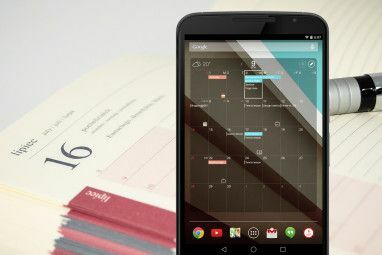 a Google Calendar with Live Calendar. (=Show Google Calendar in Live Calendar). It works once but when a new event is added to the Google Calendar that event is not displayed/shown in Live Calendar which makes the whole stuff unusable for me. I don't want to "import", I like to LINK/SYNC calendars. Andy suggestions? Does WIndows live view google calendar. All I see on my window live calendar is busy for my google events. It doesn't seem t9o read anything else. I was wondering how I could do this. That's absolutely perfetc, exactly what I needed. Thanks! Thank you. I spent 2 hours trying to do this and a little blue cloud went up. I googled what I was trying to do, found your post and 10 minutes later it's done! Excellent tutorial. Initial sync worked great. All of my LiveMail events went into my Gmail Calendar. However, new events created in LiveMail don't sync with Gmail, nor do new Gmail events sync with Livemail. Any ideas? I agree, very nice tutorial and it was the same for me. Initial sync worked great but the calenders don´t seem to sync automatically together. Would be very thankful for getting some help on that matter. Perhaps they only check each other's calendars occasionally. Have you tried giving it some time? Hopefully they'll automatically refresh occasionally. I'm not sure how you could force a refresh. I agree, great tutorial.. I was trying this for a couple of days on my own and your clear instructions just saved my life!! All my hotmail events now show on my google calendar, however... nothing new syncs... any thoughts? Hi. I successfully managed to sync my Live Outlook.com calendar to Google Calendar but not vice versa. Outlook calendar accepted my Google calendar's ICAL URL but won't sync anything. I have now waited half a day but nothing from Google calendar appears on my Outlook calendar. The instructions are very clear. I want my outlook calendar to appear in google calendar. I followed the instructions....clicked on share in outlook etc and selected the correct URL....then went into google - other calendars - add URL. Paste the URL and changed the webcals to http:// .... but nothing? I have selected the calendar so it should appear but nothing is happening? Why is this not working....does it take time to sync? I've wasted so much time on something that should be straight forward! Please Help!! I'm not really sure about this. it should be straight forward, but it's definitely a bit "unsupported" so I wouldn't be surprised if it doesn't work perfectly or if it stops working. Very helpful and easy to follow. Thanks. change the webcals:// at the beginning of the URL to http://. If you don’t make this change, Google Calendar will fail to understand the URL. Great, thank's guys! I needed this. Yup, definitely important! Perhaps the screenshot wasn't perfectly clear -- it's a bit confusing. How can I make changes from Google Calendar on a Hotmail Calendar? I want to share one of my Hotmail Calendars with my girlfriend, but she uses Google Calendar, and I also want her to be able to add or edit stuff on that calendar, but that is not possible.. :/ Any solutions for this? I have done like you said in this guide, but that is only for viewing.. Sorry, but I don't think this is actually possible. This is a view-only method. You'll have to both use the same calendar service to collaborate on calendars. It's definitely not ideal, I know. dude, when i paste my Hotmail calendar link in the Google calindar it gives me that the link is not valid !! Thanks, exactly what I was looking for. Never liked GMAIL. Do you have someth similar for yahoo as well? There's a problem with the calendar URL that you entered. Please make sure you've entered it correctly and try again. it's an greate tutorial, but I have an problem, cause new apppointments in my Google calendar will not synchronize with my live calendar..
Do you know whats may wrong with it? Hey, I've added an item to my Google Calendar, but after 4 hours my Hotmail hasn't sync, so I didn't see that item on my Hotmail Calendar. Nope! No love - yet! I belong to a Committee who have set up a Google Calendar with all our important dates on it. I have been given access to it. They have added another Calendar being Australian Public Holidays. I can follow your directions and the Australian Public Holidays come across. However no love from the Committee Dates calendar - and of course no real help on why it wouldn't work. Not syncing and I waited over 24 hours. What is wrong? I figured it out! Thanks so much. I just hope that it does sync at least several times a day to keep up with my schedule changes. LOVE IT! However, I evidently screwed up and pasted the URL link that shows only busy and then had to do it again, but correctly. So how do I remove the previous link that shows I'm busy too? I prefer Google Calendar because it can send me alerts on my mobile trough SMS. I think this is it. Will try it in a bit. Thanks for this article! Unfortunately I'm forced to use both: Windows Live on my job and Google Calendar for my personal life.